2011, my 20th year in music, was a very active year for me, even given the fact that I began a hiatus from creating music after the first third of the year. Not long after that came the massive compilation The More Unknown C. Reider, a collection of artists using sounds appropriated from my work to compose their own music. Then there was what I consider to be my ‘major’ work of the year, Owning Extinctions, a response, in sound, to the oil spill disaster in the Gulf of Mexico. Modisti was kind enough to release my experiments with sine waves, Formerly Sine Drones in June. 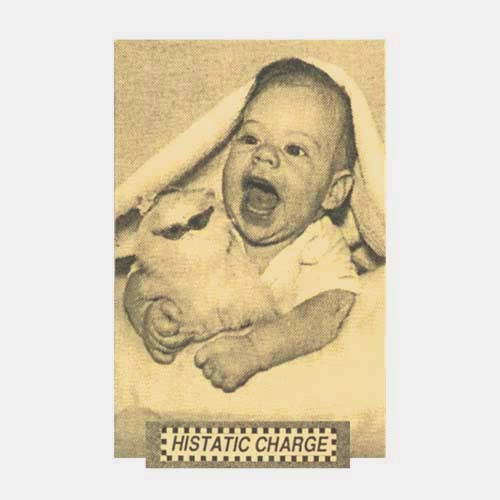 I re-released a very early collaborative work featuring myself, Carrie from Auzel and Terry from Histatic Charge. We called ourselves The Unseelie Court, and our one off release from 1995 titled Fall also came out in June. Finally, I released the inaugural track for the Dystimbria netlabel, a difficult slab of calming drones and sharp noise titled “A Strange Seed”, which used sounds donated by Thomas Park of Mystified, Dave Seidel of Mysterybear and Miquel Parera Jaques. As mentioned, I also began the new netlabel Dystimbria, which is now up to its sixth release. It explores the area between ambient music and noise music with each new track drawing source material from the music that came before. I also created a new subsection of Vuzh Music called Vuzh Underground Editions for releasing classics from the cassette underground into the CC netlabel underground. My biggest project of the year won’t come into fruition until the Spring of 2012, it’s an exhibition of sound art which I am curating as a student project for Front Range Community College. I have a new website for it here: Sound Through Barriers. Here be jaunty little synth ditties with off-time rhythms and odd sensibilities. You can – and really ought to – download the whole she-bang for absolutely free right now. I have re-organized Vuzh Music to reflect the two sides of its release lineup, new music from myself and comrades across the netlabel experimental music underground, and rereleases of some of my favorite tapes from the cassette underground. This latter category will now be released in the subsection called Vuzh Underground Editions (VUE). VUE has actually been around for quite a few years, but had been backburnered when Vuzh Music made the transition from CDr label to netlabel. You’ll find that the idea hasn’t been dormant, however. When you go to the link, you can see that there are four releases classified in the VUE category that have come out during 2011. The front page of Vuzh Music now reflects this change, linking Vuzh Underground Editions under Sublabels (even if it is really just a subsection) – and adding a new same-page link to the list of releases “Free Downloads previously released on Cassette”. I think this segregation will help discriminating listeners choose what releases suit their tastes best.